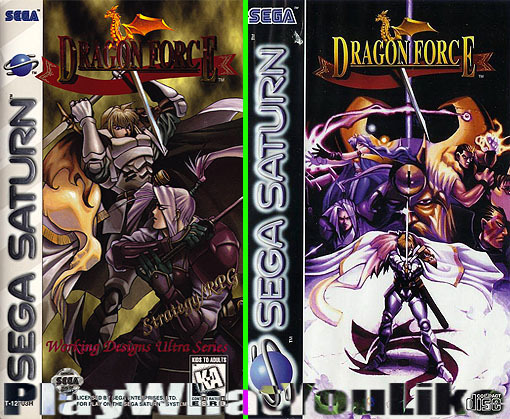 Like Shining Force III which would come two years later, Dragon Force is another of those classic Saturn games put out by SEGA. 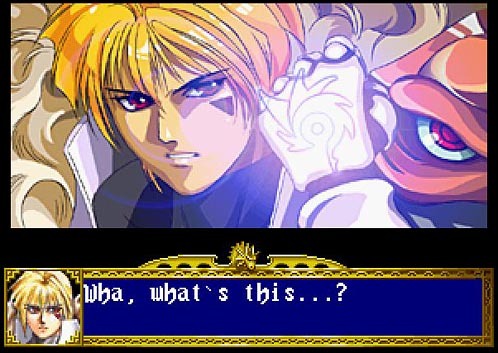 It was innovative in many ways and was largely the first game of its kind in this sub-genre of SRPG. 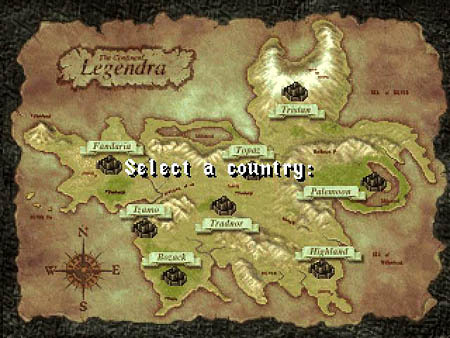 Like some other games including the Ogre Battle series, much of your strategic decisions take place on the overworld map. 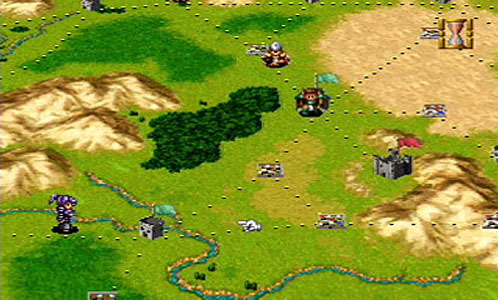 Here you will direct representations of your fighting units to various cities. The idea to to capture or recapture territory and push the enemy back. It takes units some time to get to their destinations. Simultaneously the enemy is moving their units on the map trying to do the same thing. When units meet you are taken to a second battle screen. This is where the most innovative aspect of Dragon Force manifests. 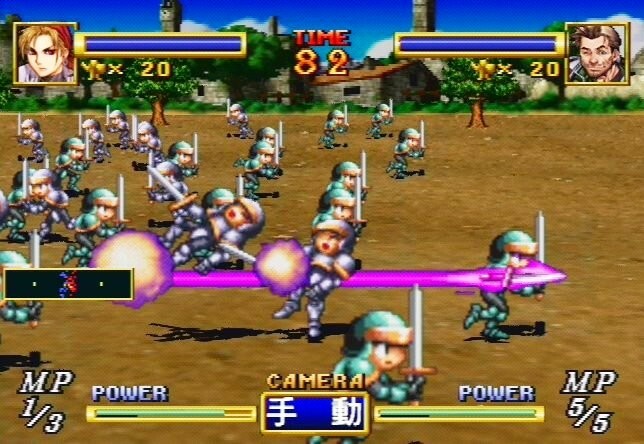 Unit battles involve a hero unit and a number of troops. 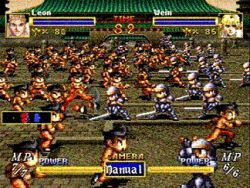 You do not control the units directly as in telling them where to step, rather you give constant orders to advance or fall back or change formation as you see the battle raging. It is exciting. The screen is filled with many milling units from either side sometimes pushing the ol’ Saturn to its limits. Hero units have various special attacks that need to build up in order to unleash. Additionally you troops ore of various types. Swordsman, archers, etc. There is a hierarchy with the troops as well, with certain types being more effective versus others. 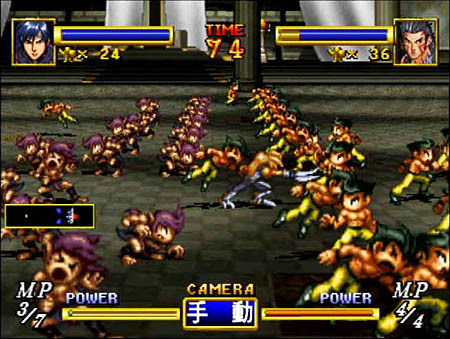 This style of unit battle started a sub-genre that lives on through games like Generation of Chaos. There is more strategy in determining which units you apportion limited troops, which gain experience, which you may try to rescue if captured. Some heroes are more powerful than others and must be deployed with care. As if all that was not enough strategy, groups of hero units are banded together as a fighting force. Which units you team up is also an important strategic element. Conquering the whole continent is not for the faint. However, at least you will not have to face dragons. Quality: Playing Dragon Force is like driving an expensive car. Care drips from every interface, every element. It transmits a driving -or in this case playing experience that stands out amongst other games which may feel more budget conscious. Short but sweet: With just a few places for dialogue, Dragon Force manages to infuse your hero unit characters with some personality. Additionally, with so many of them, it did not get too old or repetitive. Portraits: Very good. Mostly consistent. Almost all quality. Of course they were also of a style that was easy on the eyes. The artists managed to infuse a small square of pixels with more character than expected. Angle, color and expression worked their magic. The varied special attacks were fun. Cutting a swath of destruction through the enemy phalanx with a massive single shot was fun. Determining when to fire and when to hold was strategic. Music: Top notch. It was from an era where extra care was taken, and themes large and small were made for every aspect of the game. They carry a modern-ish epic feel. I am listening to it right now. It brings back fond memories, which also says something. 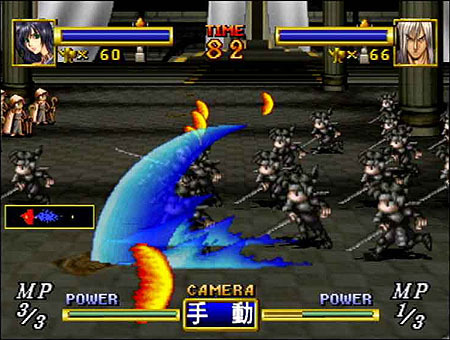 The battle scenes filled the screen with troops and action. It was impressive. Pictured: Monk-men, Squirrel-men, and Wolverine wanna-bes. Innovation: Anybody who has ever been in video game development knows how much pressure to conform can be brought to bear. “Be like that other game that sold well,” is oft implied. Enjoy this 1st party SEGA title from an era where innovation was prized. 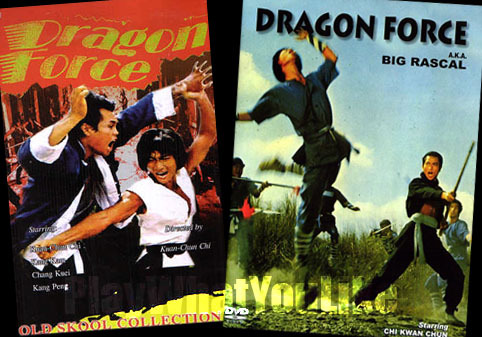 Dragon Force is not one of many Hong Kong Kung Fu movies. Good? This CD looked awesome. Sadly it was a Saturn disc… and the PAL version at that. This is not a race. 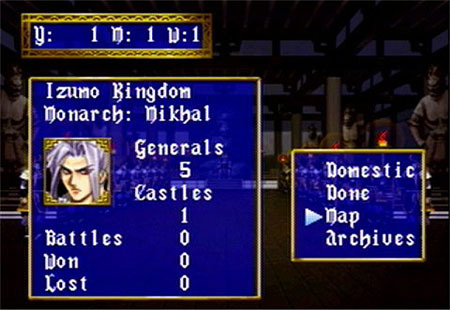 The style of directing unit groups in the overworld map called for patience. There is a deliberate pace which contrasted that of the intense battles. You can pick any faction at the start which dilutes individualized theme. Additionally there are few places for narrative. So how much story could one expect? Still, they managed to maintain awareness of the overall goal, and every battle was like a territory ladder rung. Taking care of the home front. Managing resources in the capital city and other captured territories added needed strategy. It was an important part of your overall force formation. It just took a little time and care and may not appeal to those who want more of a pure combat experience. 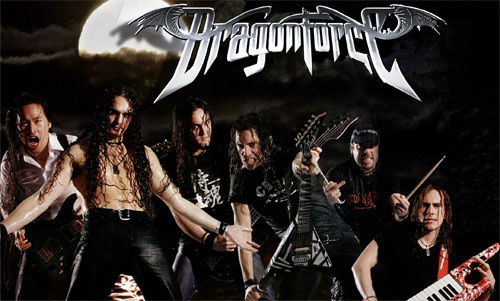 Dragon Force is not the heavy metal rock band. Occasional art direction choices. While it may seem commonplace in Final Fantasy games, extra effeminate supposedly male characters seemed out of place in Dragon Force. So much so that the translators made fun of it. The menu screens were slow. We have little patience for this anymore. It was likely a hardware problem. However knowing this SEGA needed to incorporate solutions, or design the game to need less sub-screen changes, each of which took a little too much time. Too much of a good thing. There were many hours of possible gameplay. 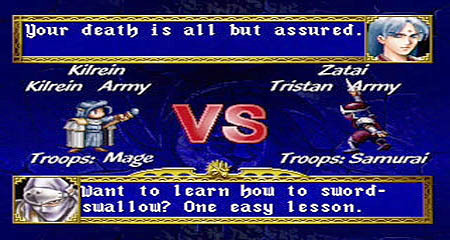 As much as I enjoyed playing Dragon Force, completing the campaign got too tedious at the end. “Interesting” editorial choices. Working Designs was the publisher that brought a lot of Japanese game content from this era to American shores. Working Designs had their own view of the responsibility associated with this task. In their opinion the content of games could be changed for the whim of their own humor. It is a concept we might today find anathema. “You are going to change the lines to say something completely different than the original?” Working Designs answer was sometimes, “Yes”. So while I am a big fan of the Street Fighter franchise, incorporating lines and (supposedly) comical references to it were a poor choice that besmirched a serious game. 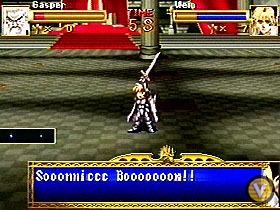 I suspect that Dragon Force was a far more serious game than we saw in English. The liberties were an injustice to what should be an enduring game. Walt Disney while he was alive made sure to keep topical humor out of his films so that they might be timeless. After he died that concept slipped. Dragon Force may be the most egregious example of this from Working Designs. It kept me from fully immersing in the Dragon Force narrative by popping me out with pop references. It kept the whole feel just a little off-balance where it did not need to be. This ray reminds me of Cyclops from X-Men. The small amount of shortcomings cannot overshadow the overall quality product that is Dragon Force. It was a trailblazer and worthy progenitor of this SRPG sub-genre. I would recommended you play this original and see for yourself. 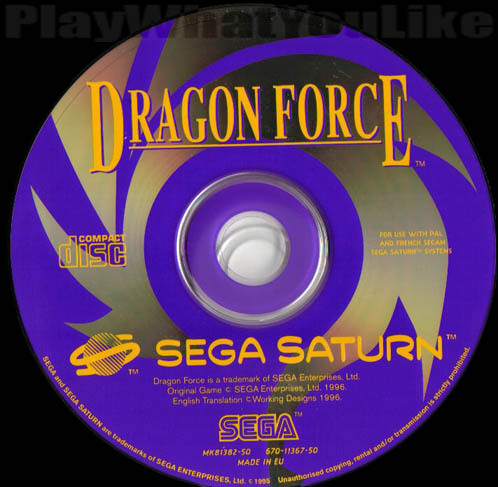 While Saturns are not exactly commonplace anymore, this game may bring you some hours of enjoyment through emulation. Knowing your game history and heritage can point you on a straight and true path for future development if you are in the business or enjoyment if you are a gamer. Like many strategy games and SRPG’s, the hardware requirements and special VFX are not essential to the strategic experience and enjoyment. 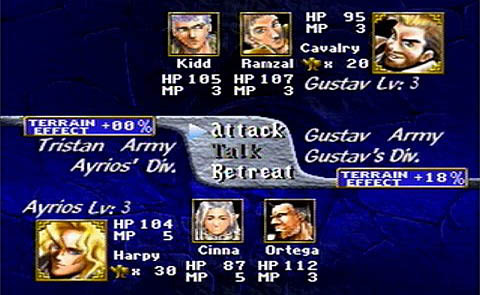 Like Final Fantasy Tactics can still be enjoyed as a fine exponent of a grid-based squad SRPG, Dragon Force is a quality exponent of this quasi-real time deployment and army battle sub-genre. There was no dragon riding in Dragon Force. 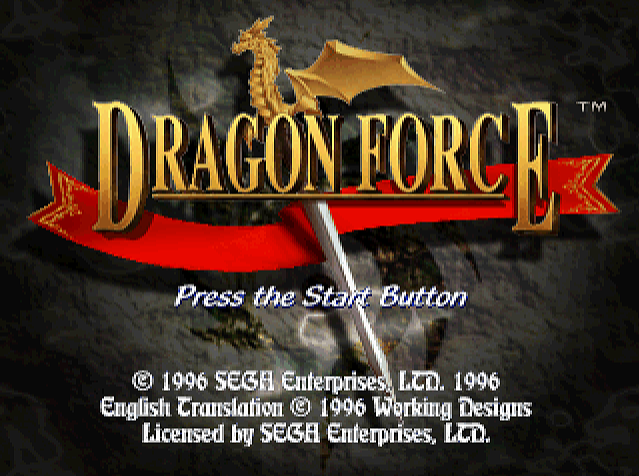 Dragon Force isn’t meant to be “A force with Dragons” or “A Force Composed solely of Dragons”. 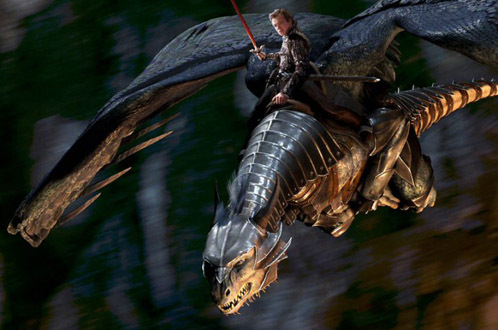 You say you don’t face Dragons? So it is true that you didn’t finish the game. You spent 35 hours doing what, staring at the menu? You started your “review” with a big fallacy, if anyone else reads this, they are being misled because you couldn’t bother to figure the game out. – Graggel, Karakk, Klaww, Krystiss, Paxx, Razor, Skugg, Blakk, Dugglar, Fynn, Grog, Slytt and Tazzax, all Dragonmen that you have to fight at certain points in the game. I keep on reading your “reviews” and what I notice is that you make it a “Time Trial” thing to play these games, discarding the story / content the game gives you to understand it, judging by how you completely misinterpreted the game’s name. Same thing applied to Shining Force III, which, in my opinion, does not help me taking your reviews seriously. It is more than fine to have your opinion on a game. You might not like a particular one for one reason or another, but using your opinion, slapping “funny” jokes and “memes” and “funny” gifs in them does not really make them a review, much less when you did not seem too interested in completing the game. I would advise you to actually watch Youtube playthroughs of Dragon Force – I do have a few on my channel if you manage to find them, and you will see that there are, indeed, Dragons in the game. Sorry you seem to lack a sense of humor. We here like to laugh as well as enjoy our favorite genre. And don’t try to flavor our entire compendium because of your bias towards Dragon Force. Most people who play it will be more aligned with us than a purist who has spent 300 hours trying to pull out every hidden detail for their YouTube channel. We run into overly serious gamers like you from time to time. No one likes SRPGs more than us, but that doesn’t mean we will say everything about a game is great, nor will we indulge a game longer than what is right to extract information that should be communicated more easily. That said, we clearly enjoyed Dragon Force and thought it a good 35 hour play. Yes we didn’t finish the game and said so right at the top of the page. And we’re not sure what you’re talking about regarding our analyses of Shining Force III Scenario One or Shining Force III Scenario Two. Both games were analyzed well and positively, with 80 hour and 55 hour plays respectively. There was no so-called “time trial” there, nor did we misinterpret the titles. To illustrate further, few are bigger fans of the Star Wars franchise than us here at Play What You Like, but that doesn’t mean that anybody can convince us that The Last Jedi is anything more than a stinking pile of poo. Almost assuredly our lead architect has more years in the games industry than you. We stand by his insight, our extensive record of played SRPGs, and the voluminous analyses offered at Play What You like. Yes, we include fun and humorous pictures to balance the details of our bullet points, and we don’t apologize for it. Normally we enjoy interacting with knowledgeable gamers like yourself. Their insight in the past has helped us improve our analyses. And even yours will, despite your bad attitude. We will amend our opening section to include a mention of “dragonmen.” If you enjoy this genre, and we believe you do, we would urge you to peruse our analyses with a smile, and perhaps we all will gain from your experience.